Wow...for a while, i was starting to think i was the only person who'd even heard of this movie, let alone seen it. I quite like it, and you're right to say that the film feels like you're on the outside looking in...and likewise, that it's a great vantage point to have for this set of stories. 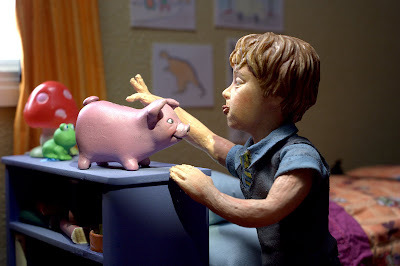 Oh, and the piggy bank made me smile every time it was in the shot.